Remnant Moisture From Hurricane Newton Prompts Flash Flood Watches In NM/TX. Newton Increases To Hurricane Strength. 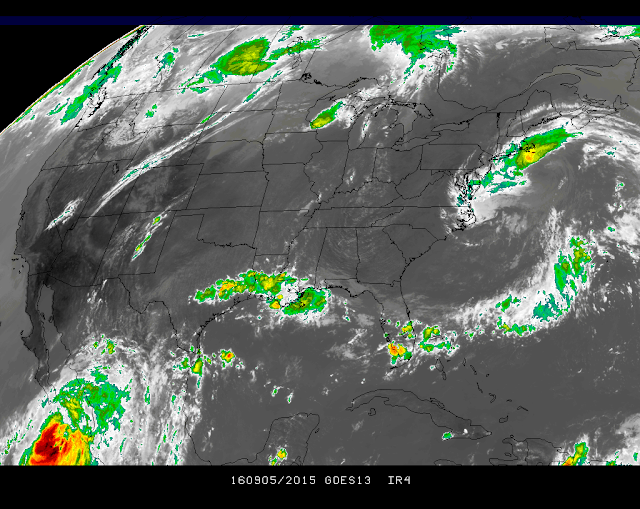 Visible And IR Satellite Images Of Hurricane Newton @ 2:45 PM MDT. 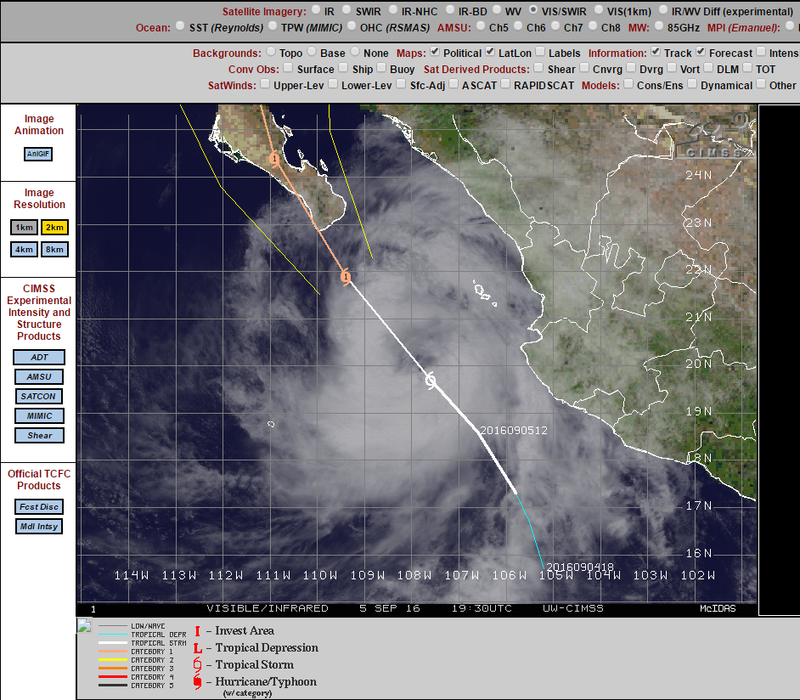 IR Satellite Image Of Hurricane Newton @ 2:15 PM MDT. 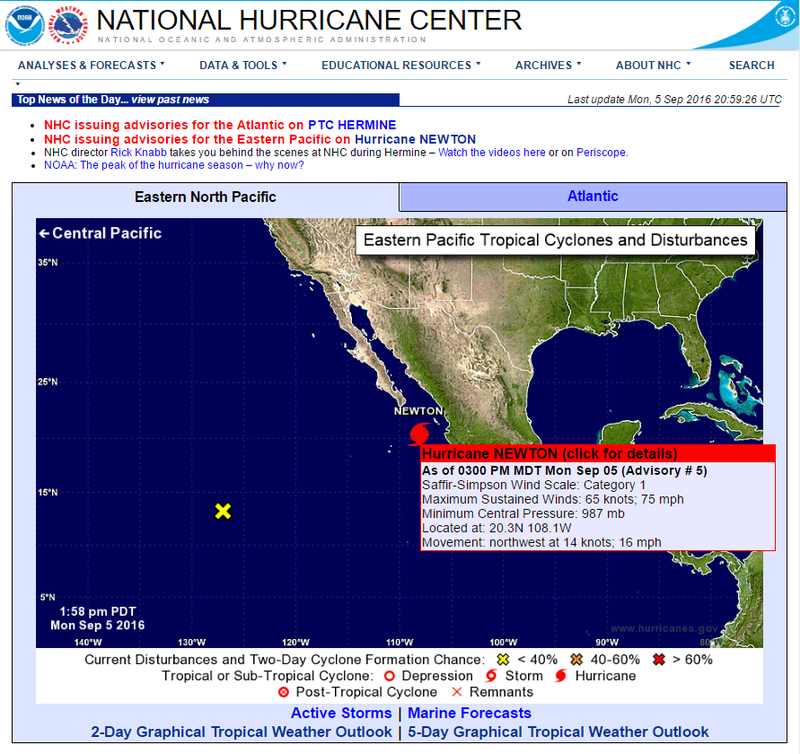 NHC Upgrades TS Newton To A Hurricane. 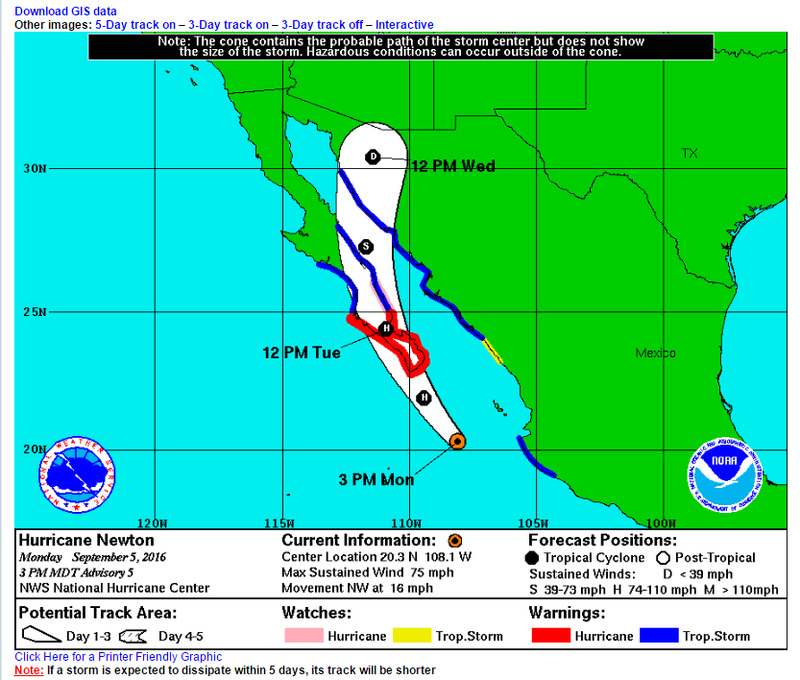 As of 3 PM MDT this Labor Day the NHC has upgraded Tropical Storm Newton to a Hurricane. 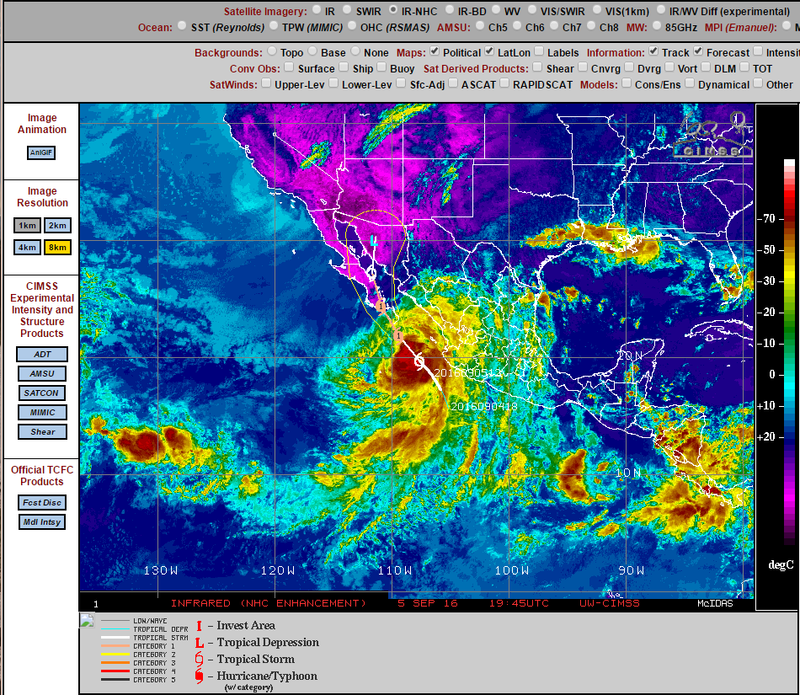 Newton has rapidly intensified this morning and now has sustained winds of 75 mph gusting to 9-0 mph and a central pressure of 987 millibars or 29.15 inches of mercury. Newton is moving to the Northwest at 16 mph. FLASH FLOOD WATCH IN EFFECT FOR PARTS OF SE NM & W TX. A Flash Flood Watch has been issued for Eddy, Lea, and Culberson Counties from Tuesday afternoon through Wednesday. Locally soils are still saturated from the heavy rains over the previous two weeks and it will not take much rain for additional flash flooding to occur. Widespread storm total rainfall amounts by Wednesday morning are forecast to be in the 1" to 3" range with isolated amounts greater than this expected. A more widespread and significant flash flood event will be possible locally if heavier rains fall than are currently being forecast. Additionally we may see this Flash Flood Watch extended out in time. FLASH FLOOD WATCH FOR SE NM & PARTS OF EASTERN NM. A Flash Flood Watch has been issued for Lincoln and Chaves Counties for Tuesday into Tuesday night. Widespread rainfall totals of 1" to 2" are forecast with isolated heavier amounts in some locations possible. FLASH FLOOD WATCH FOR PARTS OF SOUTHERN NM. 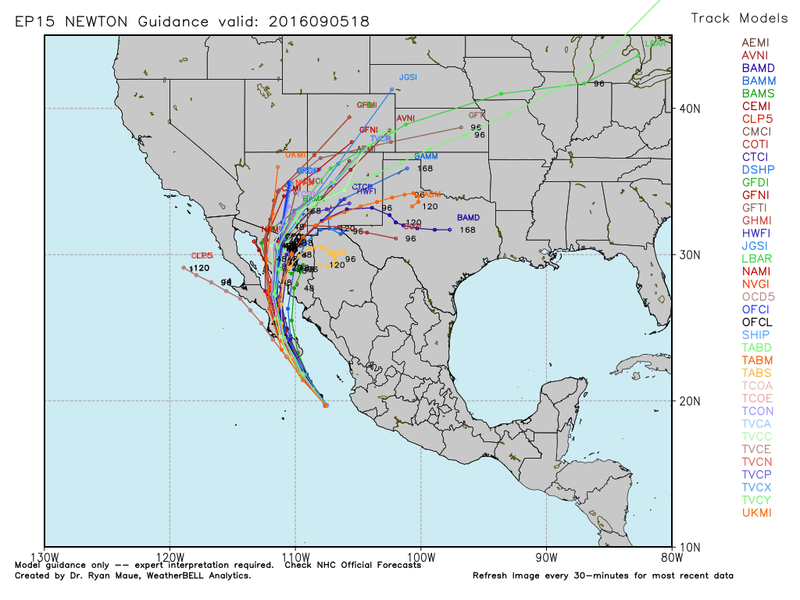 (Including The Cloudcroft-Mayhill And Alamogordo Areas). A Flash Flood Watch has been issued for the Alamogordo-Cloudcroft-Mayhill-Weed-Sacramento-Pinion-Timberon areas of Otero County as well as for those counties just east and southeast of El Paso, Texas. Widespread rainfall totals of 1" to 3" will be possible. This is a potentially dangerous situation setting up for the local area. Please stay abreast of all of our local National Weather Service Watches, Warnings, Advisories, and Special Weather Statements concerning this event.